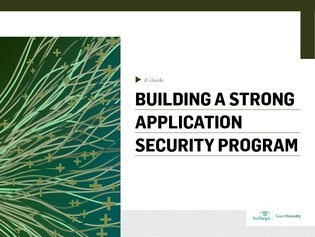 Building an effective app security program can be a daunting task. Just knowing that it’s important to build security into each part of the software development lifecycle isn’t enough. What are the crucial first steps for creating such a program? What’s the right balance between static and dynamic testing? In this expert e-guide, we explore the answers to these questions as well as the roles that education and training play in building an app security program. Inside, you’ll also get targeted advice for mitigating SAP vulnerabilities and maintaining ERP security.